Part mind-bending science fiction and part dark comedy, COUNTER CLOCKWISE delivers a thriller about a befuddled scientist who stumbles into inventing a time machine and recklessly zaps himself six months into the future. But in that future, he is a wanted man and accused murderer. He tries to return to the point right before everything went wrong. An inventive, head-scratching, fast-paced American Indie time-travelling gem from first-time director George Moise. Starring Michael Kopelow, Devon Ogden, Kerry Knuppe, Joy Rinaldi, Caleb Brown, Frank Simms, and directed by George Moise. 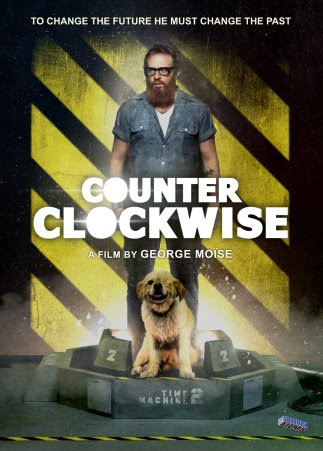 COUNTER CLOCKWISE is out now on DVD/Blu-ray and VOD/Streaming. Below you can check out the trailer. Counter Clockwise - Trailer from artsploitation on Vimeo.